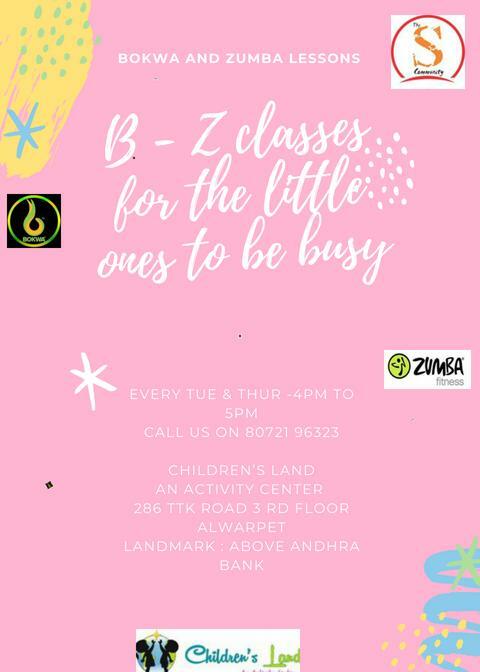 Bokwa and Zumba classes for kids. Zumba follows a traditional 8- count step. For Bokwa, the l’le ones need to draw the English alphabets and numbers with their feet while performing an energizing cardio workout routine. These dance routines combine cardio conditioning, strength training, coordination and flexibility.